PTA leaders, parents and education and industry experts from across the nation will come together in Orlando, Fla. for the Think BIG… Think PTA! 2016 National PTA Convention & Expo June 30 to July 3. Thrills! Fun! And even more thrills! Stop by the Universal Orlando Resort and explore their three different theme parks, including a stop in the Wizarding World of Harry Potter’s Diagon Alley for a tasty pint of Butter Beer. Cool off at the Universal’s Islands of Adventure and get splash-happy with your favorite cartoon characters in the water rides of Toon Lagoon. Then, ride through the Jurassic Park jungle and snap pictures of the nine-foot-tall velociraptor! 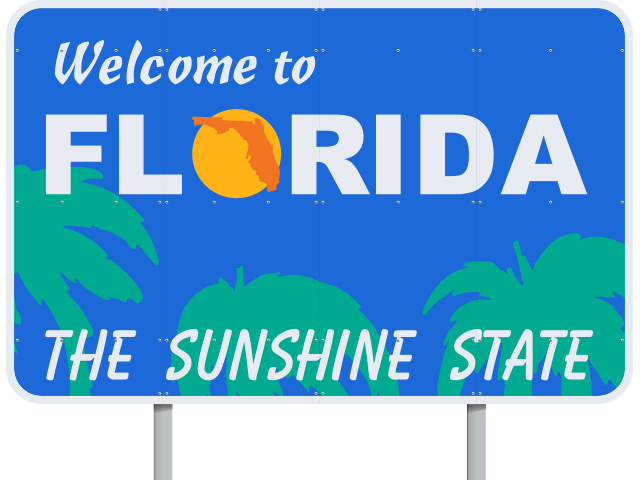 Visit a Florida State Park. If you love getting out into the great outdoors and enjoy camping, kayaking or hiking, then why not explore Florida state park for a scenic outdoor adventure that doesn’t involve roller coasters! The General James A. Van Fleet State Park, Lake Louisa State Park and Wekiwa Springs are less than an hour away from the resort. Family fun for everyone! See a show at the Orlando Repertory Theatre or swim with dolphins at the Discovery Cove. Earn a driver’s license from LEGOLAND’s Driving School. Ever been to an upside-down building? WonderWorks is the perfect location for the science nerd in you! Explore Walt Disney World Swan and Dolphin Resort. Since you’ll be lodging at this resort, we want to make sure you take advantage of it to the fullest! And you don’t have to be a guest at the resort to partake in some of the awesome activities it has to offer. Unwind and relax at the Mandara Spa. Visit the in-house art gallery, The Galleriá Sottil. Do a little shopping at their Disney souvenir shops, Disney Cabanas and Disney Garden or at Lamont’s, their classy boutique. There’s nothing like fine dining, so end your day with a bite to eat at one of their amazing restaurants. For more info about the Think BIG… Think PTA! 2016 Annual National PTA Convention & Expo, visit PTA.org/Convention. Hope to see you there! Ebony Scott is the communications intern at National PTA. “What am I going to wear? Am I going to get there on time? What am I going to bring?” You’re not the only one asking these questions. This year’s Think BIG… Think PTA! 2016 Annual National PTA Convention & Expo in Orlando, Fl. is fast approaching and we want you to be prepared! Bottled water: To have the maximum amount of fun, it’s important to stay hydrated! For those moments when it gets a little warm in the room or your throat gets dry, a bottle of water will come in handy. Cardigan/sweater: A cardigan or sweater can be a great accessory to any outfit. It can also keep you warm whenever you feel those random cold drafts in a room. Instead of suffering through the air conditioning, pack a cardigan or a light sweater. It’s a good way to beat the chill. Chargers (laptop, phone, tablet, etc. ): Make sure to pack a charger for all of the electronic devices you bring on the trip. Charge all of your devices while you are asleep so you can wake up to a full charge. Also try to bring a portable charger along. They are great for on-the-go. Extra pens or pencils: One is never enough. You never know if your pen might run out of ink or if you happen to misplace it. Extra pens and pencils can also be great networking tools when someone around you asks for one. Help them out and offer them one of yours, you never know who you may meet this way! Notepad: I’m pretty sure you don’t want to miss a thing during the presentations. It’s helpful to jot down a few notes here and there. Taking notes could be a good way to reflect on the convention once you get home or if you want to share a few things from the convention with a colleague you can always refer to your notes. Small healthy snacks (fruit, nuts, etc. ): It’s hard to focus on anything when you have an empty stomach. Packing a little something to nibble on in between meals is a good way to bring your blood sugar back up so you can really engage with the BIG things that are happening. For more information regarding the 2016 Annual National PTA Convention & Expo and registration, visit PTA.org/Convention. Hope to see you there! A Special Message from President Laura Bay: I Challenge You! Think BIG… Think PTA! 2016 National PTA Convention & Expo is just two months away, and I challenge you to register for our BIGGEST convention yet. This year’s convention will take place June 30-July 3 at the Walt Disney World Swan & Dolphin Resort—a great excuse to plan a family vacation to Disney World! In addition to enjoying the magic of Disney, PTA leaders will connect with one another at convention and be inspired by big thinkers including New York Times best-selling author Julie Lythcott-Haims. So what are you waiting for? Join the excitement and be a part of our biggest convention yet! Help me spread the word about convention by making a video just like this one, and share it on Facebook or Twitter using the official hashtag #PTAcon16! You can also find promo tools like badges, sample messaging and more in our toolkit at PTA.org/Convention. I look forward to seeing you at convention! Laura Bay is National PTA’s president. If you haven’t heard the news by now, the Think BIG… Think PTA! 2016 National PTA Convention & Expo will be held in sunny Orlando, Fla. June 30-July 3 at the Walt Disney World Swan & Dolphin Resort. We’re so excited and hope you and your family can plan to spend your summer vacation with us! Think BIG… Think PTA! is going to be BIGGER than ever so you will go back to your community and think BIGGER about the possibilities for your PTA. We want you to help spread the buzz about our BIGGEST convention yet! Make your own video—like this one—and challenge your family, friends and fellow PTA members to register too. Be sure to use the official convention hashtag #PTAcon16 when sharing it on your Twitter and Facebook! Are you a newly-chartered local PTA? For a limited time only, the first 50 registered local PTAs will pay only $250, which is 23% off the regular rate. Enter “6398648” at checkout. Get social with National PTA and download our ready-made graphics for Facebook, Twitter, Instagram and even Pinterest! We have attendee badges, sample social media tweets and more. Check it out! Catherine Llamido is the digital communications specialist at National PTA. Effective communication is essential to driving PTA member engagement. Yet all too often, we see PTA leaders make several crucial mistakes. Here are 10 of the most common communication pitfalls and how you can avoid them with your PTA. Communicating with your PTA members only when you need money. Yes, school fundraising is important. But your PTA members want to know about other things as well, such as school events, PTA programs and volunteer opportunities. Sharing this information will give everyone a deeper connection to the school and to your PTA. That deeper connection will allow you to raise more money when you organize your next fundraiser. Communicating too much. If you find yourself hitting the “Send” button several times a day, you’re communicating too much. Few parents enjoy receiving multiple emails every day from their PTA leader. 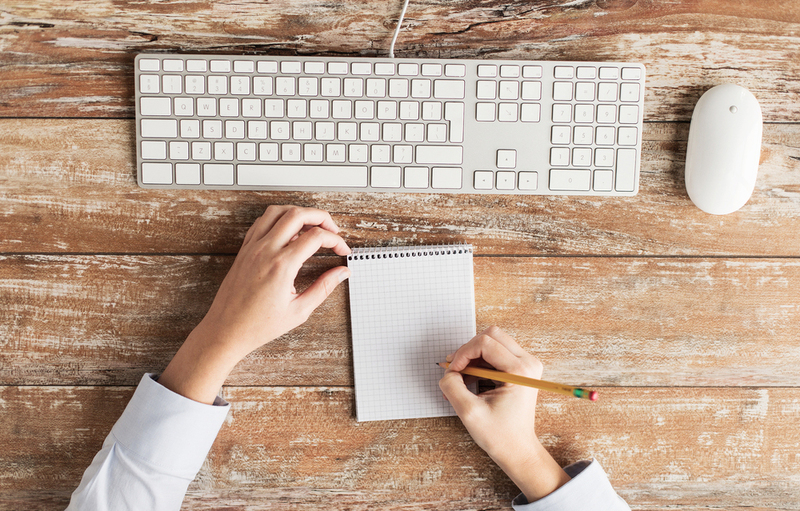 If you have a lot to say, try combining your requests and updates into a single email or newsletter. Parent portal platforms such as SimplyCircle allow you to consolidate all your communication into a single Daily Digest. Communicating at inconsistent frequency. One week you’re sending many emails per day. Then your members don’t hear from you for a month. Unless there’s a good reason for your silence (like a long school holiday), you should pick your communication frequency (daily, weekly or monthly) and stick with it. A good rule of thumb to keep in mind is this: the larger the group, the less frequently you should be communicating. Plus, knowing that your communications always come out on Mondays at 3 p.m. will “condition” your group members to open your emails. That translates into higher member engagement for you. Not being clear about what’s most important. When you put your most important request at the bottom of a 4-page long newsletter (and you should think twice about sending out a 4-page long newsletter in the first place), your critical call to action will more than likely never get seen. Instead, put your main request at the beginning. It should appear both in the subject line and at the top of your email or newsletter. Making it difficult to take action. The whole point of communication is to drive member engagement, right? So make it as easy as possible for members to engage. If you’re asking them to volunteer, let them sign up with one click. Don’t send them to a paper signup at the school office, or to a spreadsheet that half of the school can’t open. Parent portal platforms such as SimplyCircle integrate signups, event RSVPs and post commenting. When you make it simple for people to volunteer and otherwise engage, you’ll find more of them will do it. Starting a reply-all email mess. This one is a personal pet peeve of mine. I hate getting emails that ask people to bring food to an upcoming school event where everyone is on the “to” line. Within minutes, my inbox is flooded with “reply all” responses: “I will bring watermelons”. “I won’t be attending”. “What kind of cheese do people like?” Instead, use a platform like SimplyCircle. It allows people to sign up without the blow-by-blow commentary of who is doing what. If people are commenting on your posts, all the comments are summarized in one convenient Daily Digest. If you must communicate by regular email, then put everyone’s email addresses on the Bcc line. Not respecting people’s privacy. There’s another reason why you should put everyone on the Bcc line. It signals that you respect their privacy. I remember freaking out when I got an email from a non-profit organization I just joined, and saw my email address displayed on the “to” line. Needless to say, I severed my ties with that nonprofit in seconds. People are rightly paranoid about their privacy. So either move everyone to the “Bcc” line, or use a service like SimplyCircle. It hides email addresses, while still allowing everyone to communicate. Not providing easy opt-out or unsubscribe options. In 2003, Congress passed a law called CAN-SPAM. 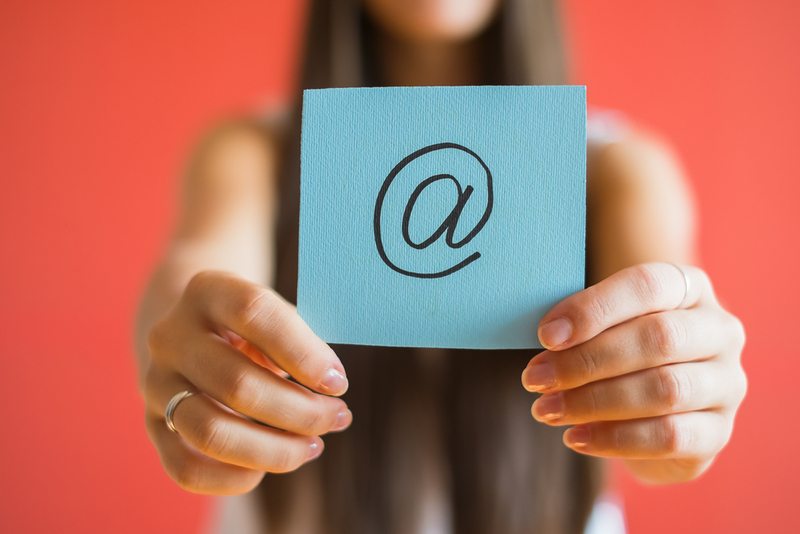 The law requires senders of commercial messages to let recipients unsubscribe from unwanted emails. While PTAs are not commercial entities that are bound by CAN-SPAM law, it is still a good idea to let people opt out. Here’s why. If you irritate people with frequent communications, and don’t let them get off your mailing list, they will mark your email as “spam”. Too many spam complaints will ruin your email deliverability. That means that all your emails will start landing in people’s spam folders. Needless to say, not being able to connect your PTA members is not effective for great outreach. So let people unsubscribe if they want to. Making typos or other mistakes in your communication. Spelling or grammatical errors make communication look unprofessional. Fortunately, these errors are easy to avoid. Just run a spelling and grammar check before sending something out. Also be sure to check your email for accuracy and completeness. You don’t want to have to contact a thousand people with an “oops, I got the date wrong” email. Remember, once you hit that “send” button, there’s no way to unring that bell. The email is out. Leaving some people out. Make sure your communications include everyone. For example, you should not limit your updates to just paying PTA members. Everybody needs to be informed about school and PTA events. In fact, if you keep parents in the loop and make them feel like part of the community, they might decide to join your PTA. If you have a large Hispanic population at your school, you should try to write in both English and Spanish. Using a free program like Google Translate is better than nothing. But you should be able to get translation help from someone at your school who speaks both languages. 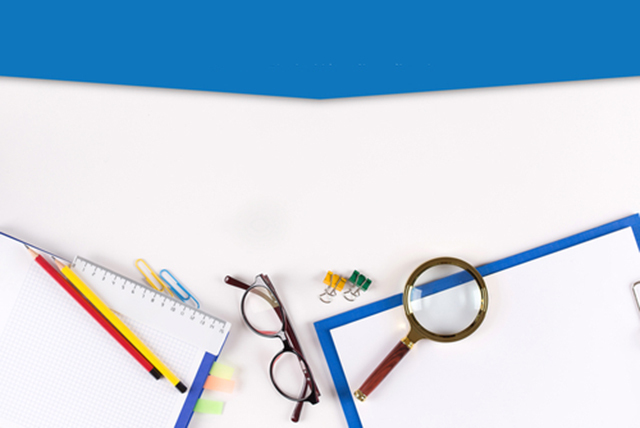 Want to learn more about how you can simplify PTA member communication? Visit SimplyCircle.com. 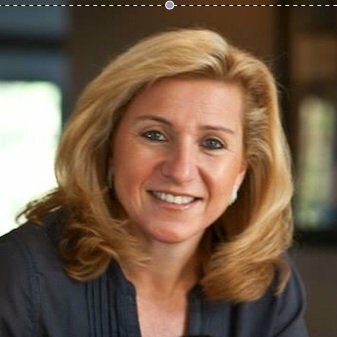 Dr. Elena Krasnoperova is the Founder and CEO of SimplyCircle, a popular parent portal for PTAs, PTOs and other parent communities. She is a mother of two children in elementary school, and an active member of the PTA. 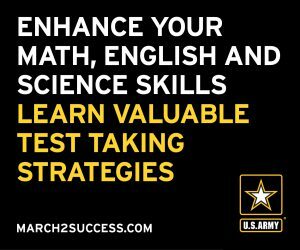 Sign the Testing Bill of Rights! National PTA is pleased to join forces with the Center for American Progress (CAP), America Achieves and the National Association of Secondary School Principals (NASSP), among others in support of the Testing Bill of Rights to ensure assessments are fair, reliable, relevant and aligned to high-quality standards. The Testing Bill of Rights outlines the need to accurately measure student learning in a way that is useful for parents and teachers and less burdensome for students. As states continue to transition to higher standards and a new generation of high-quality tests come to fruition, more needs to be done at state and local levels to address over testing and provide greater transparency about the purpose and benefits of each test. No parent wants their child reduced to a test score, and assessment results should be used to inform instruction, provide parents and communities with information about whether students are working at grade level or are struggling, and allow teachers to diagnose and help their students. The launch of the Testing Bill of Rights is part of a campaign led by CAP to educate school leaders, students, teachers, and parents about the need for better, fairer and fewer tests. National PTA understands the frustration that parents, students and educators have expressed regarding over testing. However, instead of walking away from assessments themselves, National PTA seeks to empower and engage parents in the important conversations around the amount and types of tests students take as well as advocate for parents to be at the table as these discussions occur at state and local levels. Parents are an important part of the solution to improve assessments, and we can’t walk away from this responsibility. The association believes that in order to provide the most accurate information to parents, educators, schools, districts and states all students must participate in required state assessments. The information gathered from assessments helps to make sure all students and schools are receiving the necessary resources and supports in order to reach their full potential. Additionally, if we do not have full data sets, we won’t know if the assessments actually do what they are designed or purported to do. National PTA has always believed that educational improvements and increased well-being for our nation’s children comes from engaged and empowered parents and families. The parent voice is critical in the discussion around educational equity. 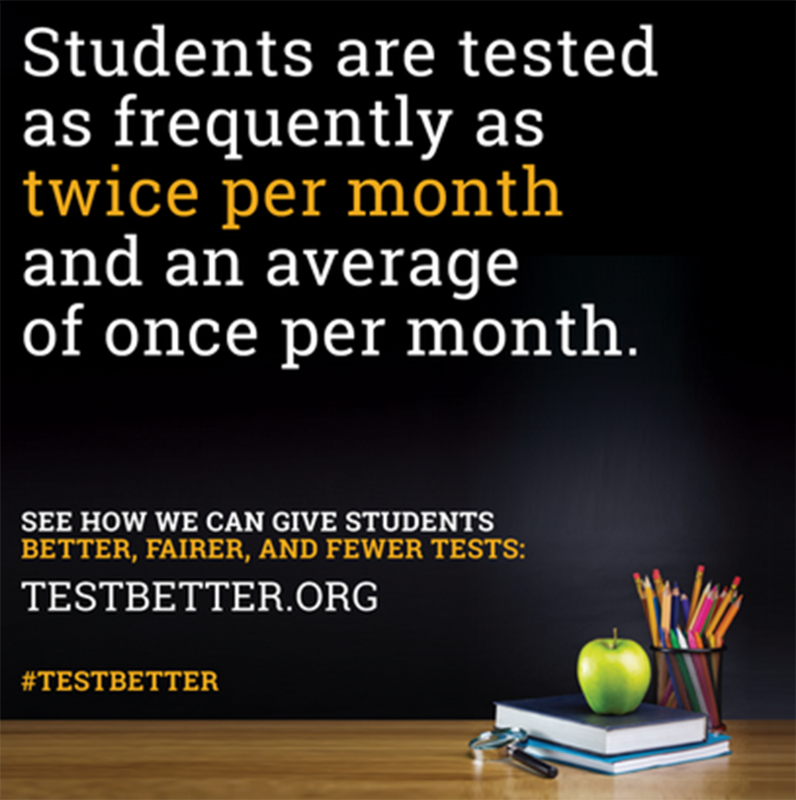 Parents must be part of the solution for fairer, better and fewer tests. National PTA urges you to sign the Testing Bill of Rights to ensure students are taking high-quality and aligned assessments, parents have accurate information on their child’s progress and achievement and teachers have a tool that helps improve instruction. Jacki Ball is the director of government affairs at National PTA. My name is Denise Baer, and I have been an involved PTA member for over 13 years. I have served on PTA executive boards in many capacities, including being elected PTA president twice. My town of Westport, Conn. has eight schools—five elementary schools, two middle schools and one high school. Each school’s PTA operates independently, but we work collaboratively through a town-wide PTA council. A longstanding challenge in Westport was how to manage our student, parent and teacher directory. Each school used their own software such as Microsoft Excel, Word or some combination. None of these systems interacted with the school databases, and there was no easy way to track students graduating from one school to the next without a significant amount of work. The PTA directory chair position was a time-consuming, difficult-to-fill job. Volunteers spent a tremendous amount of time collecting data and verifying its accuracy. Since the PTA directory only existed in printed form, PTA parent members had to buy multiple copies—one for home, one for the car and one for the office since it was only in print form. The other problem we kept running into was that since it wasn’t cost-efficient to print it frequently, the minute we’d gathered the information, verified it and then published the directory, it was out of date. After many years of discussing the ongoing problems, we decided it was time to take action. I chaired a committee that investigated how we could provide parents with a more value-added, electronic product—a directory that was up to date, portable, easy to access, simple to use and identical regardless of the school your child attended. We were also able to ask MobileArq to customize the directory and administration portal to incorporate the ability to make additional donations to PTA beyond membership fees and to have a choice of payment options, online and offline. To ensure accuracy and completeness of the directory data, we got the permission and cooperation of our superintendent to provide us with select non-confidential district data. After extensive testing of the software and marketing of the mobile directory to the Westport parents, we went live. That was almost three years ago. The transition from a paper to an electronic directory move was a big step for our parent PTA members, but after the initial adjustment period, they can’t imagine going back! As for the PTA executive boards, the once overwhelming position of PTA directory chair became a very simple, almost non-existent job. There are always bumps and bruises as you transition to a new system, but overall we’ve found the system to be a great leap forward! Denise Baer has served as a leader in Westport PTA Council for over 13 years. Schools across the nation took part in our Rock n’ Roll theme as they participated in this year’s Take Your Family to School Week (TYFTSW). 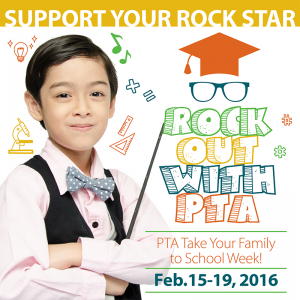 From Feb.15-19, 2016 National PTA invited families and schools to “Rock Out with PTA” and celebrate your student rock stars. We love providing you with ideas for themed events to host. The PTA programs are to help enhance the engagement between parents, students and teachers. A few popular events during TYFTSW that resonated with you were Connect for Respect (C4R), student safety and supporting student success. The main goal of National PTA’s Connect for Respect (C4R) Program is to prevent bullying both inside and outside of schools. C4R events connect parent and teachers and facilitates their working together to achieve that goal. Our student safety program can be conducted by using National PTA’s Safety Toolkit, which provides overall physical safety tips for children. Last but not least, let’s not forget supporting student success! Showcasing student accomplishments and marking any progress they have made can really boost children’s self-esteem and make them want to continue achieving great things. Hopefully, with the help of our great themed events, we can increase awareness of the importance of education, health and wellness and safety. During this year’s #TYFTSW16, PTAs took our event ideas and made them their own. All throughout the week, schools engaged in various fun activities, from talent shows to lively science nights. All of the PTAs really out-did themselves this year! A theme can add a creative twist to your event. It can help boost the engagement of your students and their parents. And that’s what made the events very creative. Barry Pathfinder PTA, located in Kansas City, Mo., had a Star Wars themed roller skating night and a 50s sock hop family drive-in movie night. Wow! In Raleigh, N.C., Centennial Campus Middle School PTSA had a pretty far-out week with their groovy-themed book fair. Now that’s neat! These schools were able to address serious topics with their amazing, welcoming themes. Barry Pathfinder PTA’s focus was increasing parental engagement. To do so, in addition to their Star Wars and 50s sock hop events, they served a delicious breakfast to students and their parents and informed them of their children’s daily scholastic routine. Centennial Campus Middle School PTSA focused on anti-bullying, test taking and anxiety and online safety alongside their “groovy” book fair. With the assistance of N.C. House Representative Rosa Gill and NCPTA President Kelly Langston, their message came across loud and clear to both parents and students. Nothing brings a community together better than dancing, food and music. Grafenwoehr Elementary School PTA, located in Grafenwoehr, Germany, had the right idea by having a Just Dance family dance-a-thon! Their main focus was health and wellness. With that much moving around, by end of the night everyone enjoyed themselves and felt energized. A jamboree will do the job as well. That was Racine, Wis. Jerstad-Agerholm Middle School PTSA’s idea. They took the all-inclusive party route and joined the elementary and middle schoolers together, along with their parents, to have a fun-filled day with arts and crafts, food, games and raffles. TYFTSW events help to get your students and their parents on the same page. It’s better for everyone—students, parents, teachers and schools—when parents understand what their child is learning, especially when a student needs help with their homework. A night filled with math and literacy activities, a student art gallery and science learning are all great ways to get parents involved and up-to-date. Marigny Elementary PTA did just that! They welcomed parents to a night of fun learning to give parents ideas they can use to keep learning going at home for their kids. Ultimately, the goal of PTA programs is team work. After all, they say it takes a village to raise a child. Parents and teachers have to make a unified effort in order to develop a better learning environment for the children. Participating in your school’s Take Your Family to School Week can get the ball rolling in the right direction! We can’t wait to see what great themes you come up with next year! This blog was originally posted on TODAY Parenting Team. Every parent wants the best for their child and wants to be engaged in their education to support their learning and achievement. The challenge for many parents, however, is figuring out what they can do and knowing the most effective ways to get involved. As the president of National PTA, I have spoken to many parents who have asked, “How can I be involved in my child’s school and learning when I work a full-time job and keep a busy schedule to support my family?” As a working parent, I had the same question and concern when my children entered school. After first getting involved, I quickly realized the importance to help my children—and all children—succeed and reach their full potential—no matter the level of involvement. It is important to remember that involvement is different for every family and is not limited to attending meetings or participating at school. Get involved with your local parent teacher association. Even if you are an on-the-go mom or dad, you will find support from other parents in PTA who have the same questions, concerns, hopes and dreams for their children. You will also be part of a dedicated network of families, educators, businesses and community leaders who are working to ensure all children receive a high-quality education. That means, even if you aren’t able to be at every meeting, you know there is a group of parents who are invested in the success of every child at your school — including yours. Be interested and listen to your child. Encourage your child to talk about his/her day and express concerns. Learn about your child’sstrengths and weaknesses and what activities he/she likes and doesn’t like. Two-way communication is essential to developing an active and positive relationship and an open, ongoing dialogue is critical. Then if any issues come up at school, your child will feel more comfortable talking to you about it. Education is individual for each child and remains a shared responsibility. It is important to work with your child’s teacher to best support him or her. It is also essential to develop a relationship with your child’s teacher and keep in touch with him/her often. Find out the best way to contact your child’s teacher and ask for times when it would be convenient for him or her to talk. It is also important to provide teachers with the best way to contact you. Consistent communication (via email, phone, etc.) will help build relationships. You are your child’s best advocate. It is important to be a voice for your own and every child to ensure they are treated fairly and have access to opportunities that will enable them to reach their full potential. It is also critical to advocate with local school boards and state and federal government to ensure your child’s school has the resources to provide a world class education to every student. When possible, attend school board meetings. Send e-mails and letters and make phone calls to advocate with elected officials. The most significant type of engagement is what families do at home. Parents can monitor and support their child with his/her schoolwork and let his/her teacher or school know if there are any problems. The work families do at home that’s connected to what kids are doing in school has the biggest academic impact. By monitoring, supporting and advocating, parents can be engaged in ways that ensure that their child has every opportunity for success.